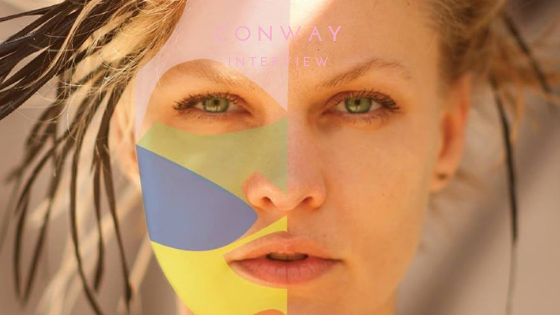 When Kassia Conway was working on the artwork for her latest single, “Woman”, she felt that the photo of her wasn’t a proper representation of the song or the word itself. “I just wanted it to be a thousand faces and that was literally the first thought I had because I was looking at my face with the word ‘woman’ over it and thought it would be great if somehow I could just digitize it to a million faces,” she said. Her brain was on overdrive, as she’s a very visual person, but she wasn’t quite sure how to go about creating a million faces. She was thinking about the popularity of selfies – dramatic angles, Snapchat filters, the whole nine yards – and tried to think of the bigger picture, literally. She had mixed feelings towards social media and technology but decided to confront that by making an app called The Woman Project. The app allows the user to stream “Woman”, where 20% of the proceeds are automatically donated to Planned Parenthood. It can also translate the app in 50 languages, make a donation to women’s charities and offer a chance to take a selfie that’s shared on The Woman Project’s Instagram. Conway saw that representation has been an enormous issue lately, especially in the media, but the song “Woman” wasn’t about that at first. It was originally written to highlight the positive aspects and actual qualities of women instead of having to focus on the negative comments surrounding the gender as a whole. It became a moment to celebrate in the midst of dealing with heaviness. What started out as an empowerment anthem turned into so much more. She’s been able to see firsthand how The Woman Project has reached more people than she ever thought possible. Some of the stories and personal messages have brought tears to her eyes, which proves that the statement she was hoping to make was heard by other women and that this social situation can change for the better. Kassia Conway is one voice among many, but her willpower to make everyone’s voices heard is absolutely the proper representation of the word woman.